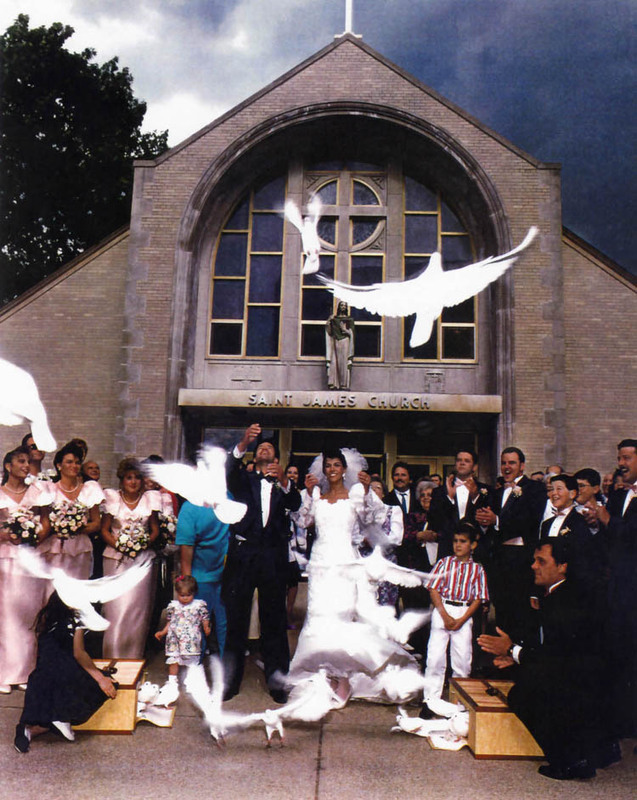 You can make your dream wedding unique with this ancient wedding ritual, our wedding specialist oversee this dramatic climax to the ceremony by bringing two pure white doves forward to the bride and groom at the end of the ceremony just after pronouncing them husband and wife, ( or if indoors, as they leave the chapel). Together they release the two doves into the air .....Imagine the whirling sound of their wings, a romantic sight that will be long remembered by friends and family.... A basket with additional wedding doves will also be released at the same time, they will join together, gently circling in flock formation, then, whinging silently as they disappear into the horizon...........A sight that will be simply unforgettable!! 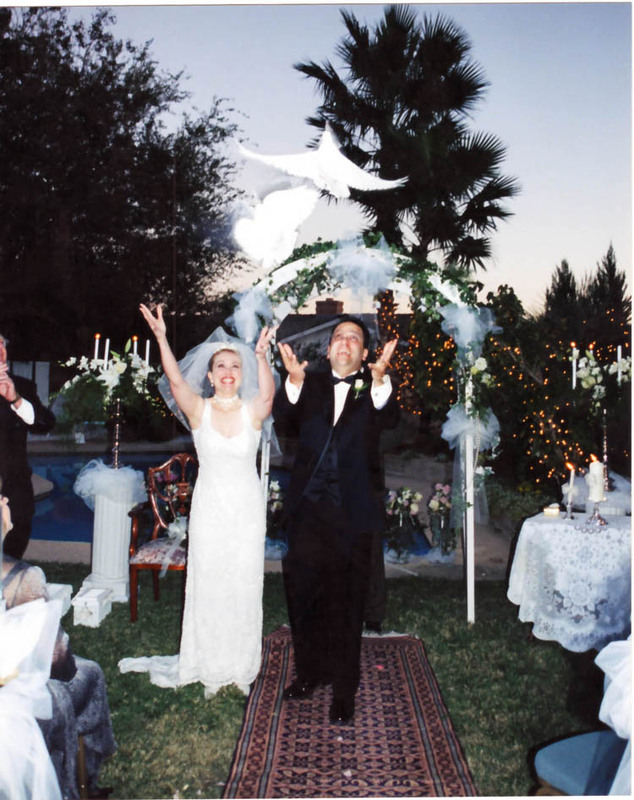 As all wedding settings are unique, our specialist will place the doves to be released similar to a fireworks display to ensure that photo and video preserve this incredible moment. A commemorative poem & reading is included as the groom and bride released them together. Deposit is required to reserve your date & time. Balance due two weeks prior to wedding. All wedding dove releases must be done approximately 1 hour before sunset. Doves choose a mate and then remain together through life, from season to season, year after year. For this reason, doves are associated with love and fidelity. The dedication and faithfulness of a pair of doves has long inspired mankind in their marriage vows. 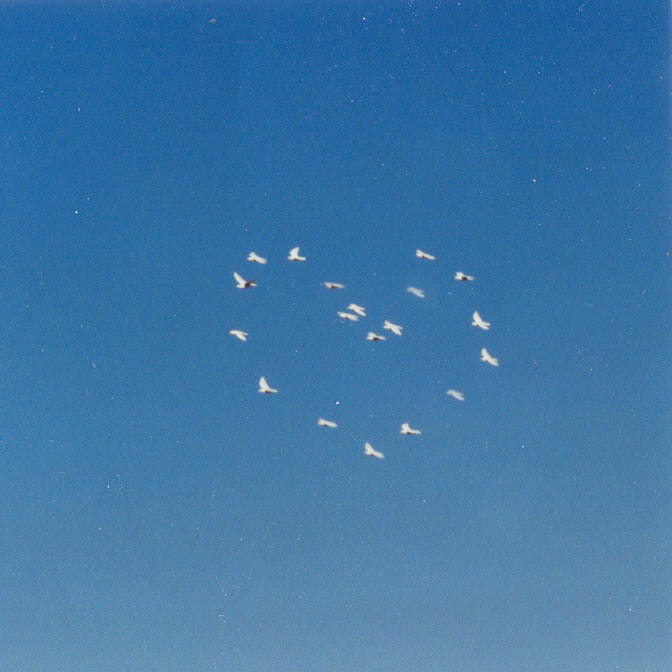 This was recognized by early Greeks and Romans, when they viewed doves as representing love and devotion. It was the custom that the groom give a dove to the bride as a symbol of his love for her. 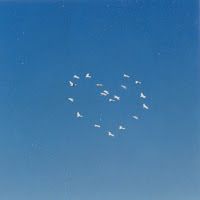 The dove was also the sacred animal of Aphrodites (Greek) and Venus (Roman), the goddesses of Love.